Florida Free Speech Forum - Dedicated to the rational examination of public issues. 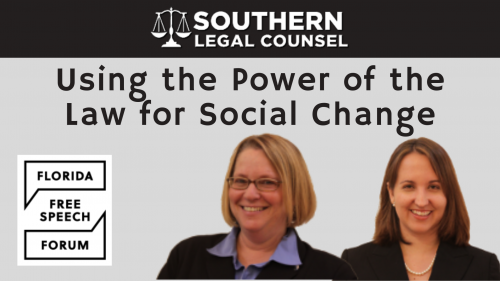 Southern Legal Counsel is a statewide public interest law firm based in Gainesville. We will discuss how we use the power of the law to change systems, safeguard liberties, hold governments accountable and end discrimination.